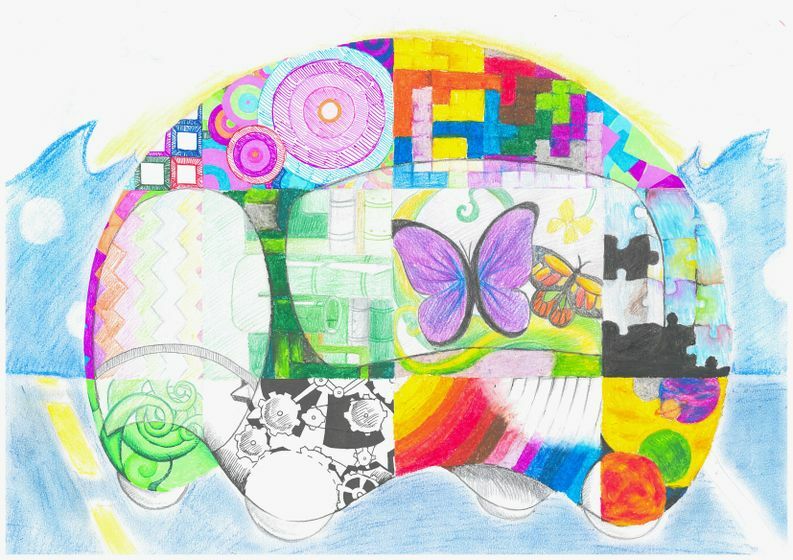 TORONTO, ON., (August 28, 2013) – Among the entries from youth around the world, Canada’s Yoon was selected as one of 30 finalists and a bronze winner in her age group of the 2013 Toyota Dream Car Art Contest. 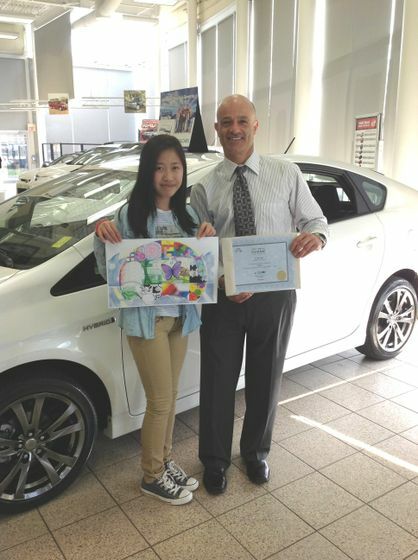 Yoon’s drawing of her dream car – entitled “GOTOYO” – was selected in April as one of the 9 Canadian winners to represent Canada in Toyota’s international artwork competition in the 10-12-year-old age category. Selected as a global finalist, Yoon and her parents – who live in St. Catharines, Ontario – were invited by Toyota on an all-expenses-paid trip to Japan this week to attend a special awards ceremony. Today, she was also awarded the bronze prize among the finalists in her age category. The goal of the contest is to inspire creativity among youth and reinforce the importance of having a dream, while encouraging an interest in cars. Reflecting Toyota’s commitment to fostering long-term innovation, the contest will be held again next year, with more details to be announced this fall. Open to children aged 15 and under, there are three age categories in the contest: under 10 years old, 10-12 years old, and 13-15 years old. This year, about 610,000 entries were received from children in more than 70 countries. A judging panel analyzed the submissions based on overall concept, originality, design and use of colour. The drawings were created with various types of medium – such as paint, markers and crayons – excluding digitally created pieces. For more information on Canada’s participation of the Toyota Dream Car Art Contest and to view Yoon’s piece of work, along with the other entries chosen to represent Canada, please visit http://www.toyota.ca/dreamcarartcontest. For more information on the global contest and to view the artwork of all global finalists, please visit http://www.toyota-global.com/events/dream_car_art_contest.